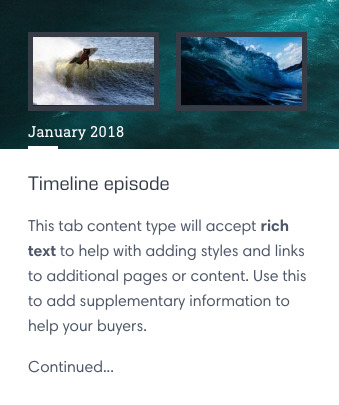 The timeline feature in Story allows you to add content blocks of text and images that can be scrolled horizontally. 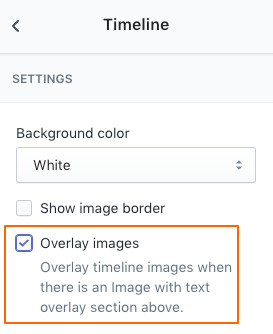 Here are a few setting options you can use to modify how the timeline is displayed. 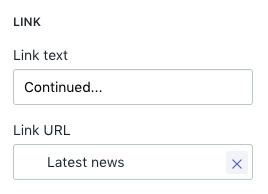 The Heading is placed below the image(s) followed by text description. 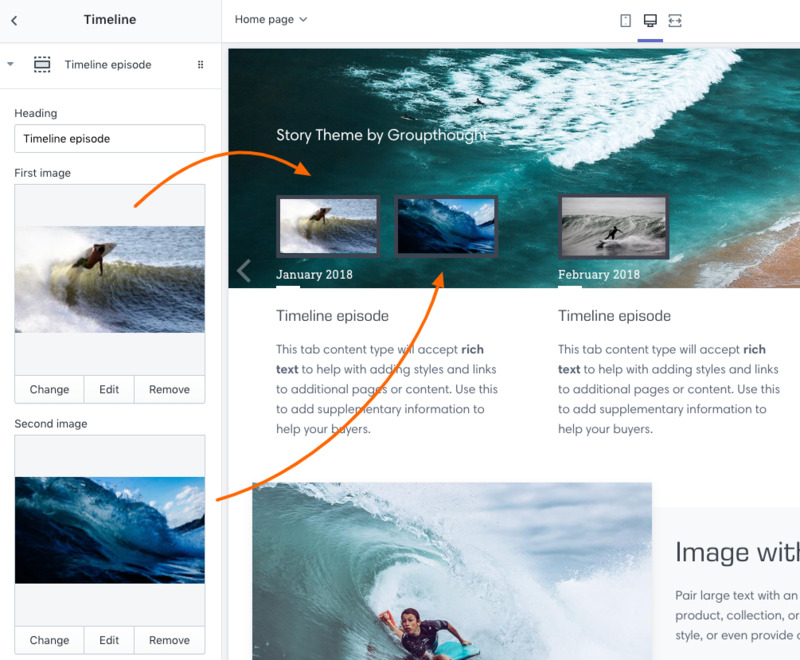 With horizontal scrolling, you can display as many content blocks as needed. 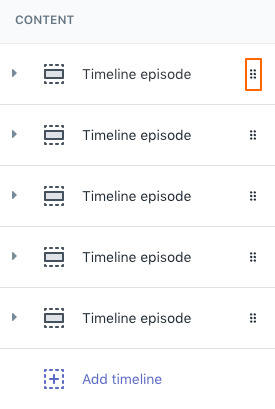 To sort the position of each timeline block, use the handle icon on the right and drag-n-drop to the order you like. 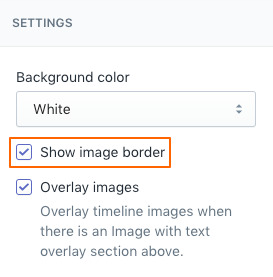 For mobile devices, touch swipe gestures are used to navigate forwards and backwards. 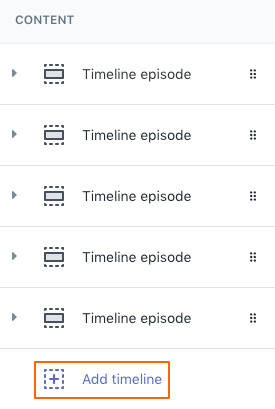 Story will show a portion of the next timeline content block which will help indicate there is more content.